Time for another makeover! Recently I had a chance to make over a client for her engagement pictures. She's actually the sister of a former bride client of mine, gotta love rehearsals! 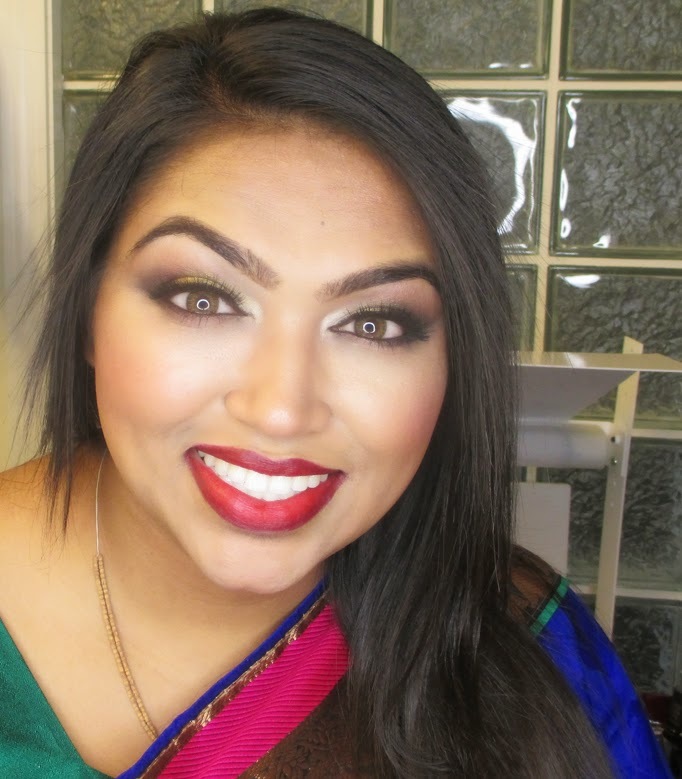 We went with a dramatic traditional Indian glam look, check it out! 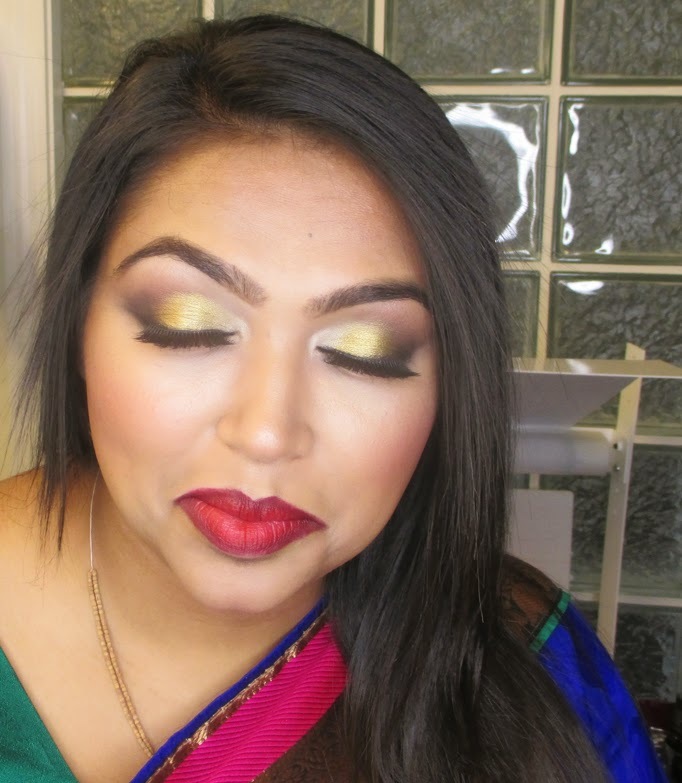 The bride-to-be had a gorgeous Sari of multiple tones and would be switching to an all Gold outfit later on, so I wanted to pick a metallic neutral eye to complement both looks. I went with a metallic gold on the lid (MAC Metallic Gold Pigment) then added some black o smoke it out with some warm brown in the crease. On her skin, I used the Graftobian Warm Super Cream Palette for her foundation, highlight and contour. And of course, Eve Pearl Salmon Concealer in Medium to correct undereye circles. The blush is also from Graftobian. We decided to go super bold with a bright red lip using MAC Vino Lip Pencil and MAC Redd Lipstick. Clean up the edge of the lip with some concealer and you're good to go!